An F.B.I. agent is recruited to join a government task force set up to fight the war on drugs in Juarez, Mexico and at the Mexican/U.S. border. 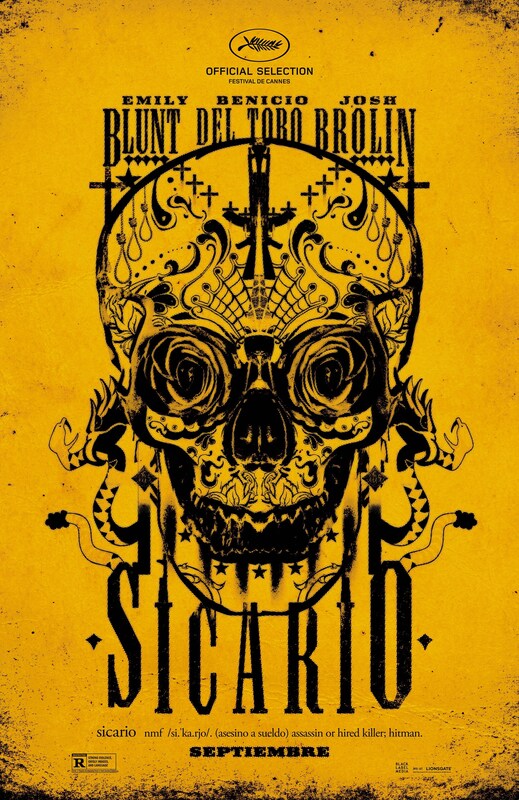 A Sicario is a hired assassin. When Nixon began the official ‘War on Drugs’ in the 1960’s, one would hope that he wasn’t aware of the true cost of this phony war. Hundreds of thousands have died because of it and the death toll doesn’t seem to be abating. 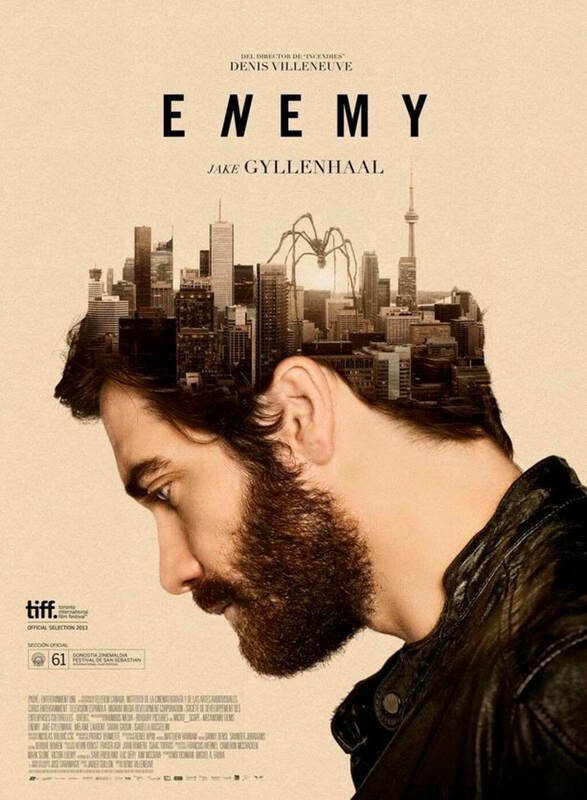 Denis Villeneuve follows his excellent Enemy with this film about the horrific consequences of fighting in such an unwinnable war. As long as these drugs are outlawed by America and the rest of the world the killing will continue. A serious dialogue needs to happen. The war is clearly not working; fifty years on and no sign of any end in sight. He gives us a tale that eschews deep character development in favour of the bigger picture, but don’t be fooled, this technique works brilliantly by allowing the viewer to be drawn into this crazy, lawless world. Emily Blunt plays Kate Macer, an F.B.I. special agent who is recruited by Josh Brolin’s Matt Graver, an agent who may not be who he initially appears to be and the great Benicio Tel Toro plays Alejandro, another member of the team whose story will be revealed in due course. Another Brit, Daniel Kaluuya plays Reggie Wayne, Macer’s F.B.I. partner and does a stellar job. Victor Garber is Dave Jennings, Macer’s boss and here, as usual he delivers a sturdy performance. And finally we have Jon Bernthal who, fortunately, is not featured massively. The long term readers of The Movie Musings will know how I feel about this actor, to précis, he acts too much, seems too aware of the camera and tics harder than a tic-tac-toe player on speed. Nuff said. Bernthal aside, everyone brings their A-game to a story that is both important and necessary. Sure, there have been many films about the Mexican Cartel already but if a story or a subject is worth investigating it’s probably worth telling again. Having just watched Narcos on Netflix this subject matter was interesting to me and Villeneuve gives us a different take on it. Here, he also spends time with the victims of this crazy war and seems much more sympathetic to their plight than the usual Hollywood pro-American stance. Emily Blunt’s character is basically representing the audience in this piece; she gets to know what’s happening when we do, which makes this all the more exciting for the viewer. She plays a by-the-book agent and when thrust into this chaotic, unpredictable world she finds her morals and ideals compromised, as there really are no black and white solutions in this world. Grey areas are much more thought-provoking than tying things all up in a neat little bow. Jóhann Jóhannsson delivers a killer soundtrack that is all atmosphere and greatly adds to the unsettling nature of the film. He succeeds massively creating this dark, brooding score that helps embed us, as onlookers, in the story, helped along by the screenwriting duties of actor, Taylor Sheridan. I highly recommend this intelligent take on the effects of the war on drugs in America. Villeneuve is a director of weight and substance and as he has signed up to direct the new Blade Runner project, it may be worth a look.